We are a young professional couple in our early thirties based in Mackay, Qld, Australia. 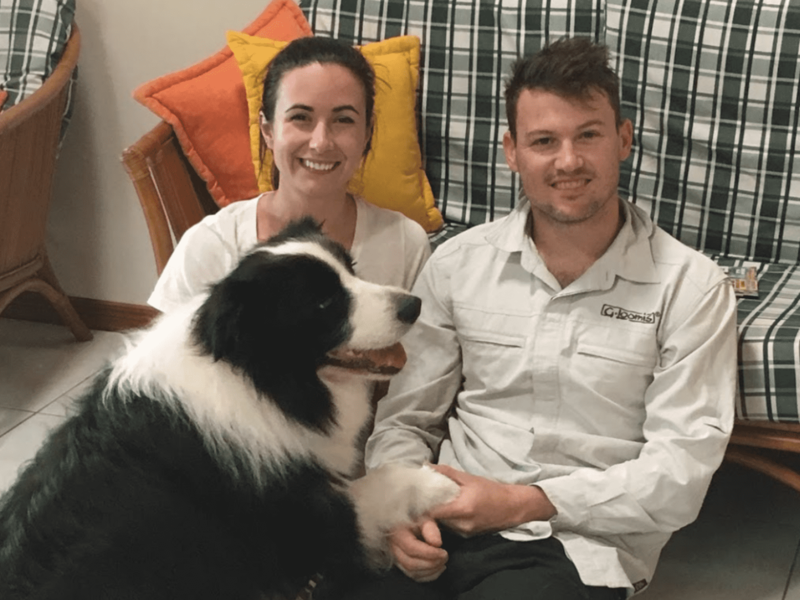 Avid animal lovers, we share our home with our adorable 4 year old border collie, Ben and our precious ragdoll cat, Nahla. We love nature, enjoy spending time in the garden and would take exceptional care of your property and pets. Coming from Australia, we have experience caring for all types of animals. We love to travel and experience new places and plan to spend the later half of 2019 exploring Europe. We are really excited for the opportunity to be able to combine our love of animals and gardens, and travel in an authentic way and experience new places. We love the idea of stopping, slowing down and enjoying life as a local. As pet owners ourselves, we want to help people to be able to travel freely and with confidence that their pets, gardens and homes are being cared for by responsible and reliable people. 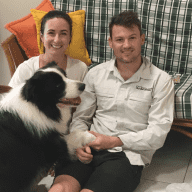 Whilst we are new to formal housesitting, we both have a wide variety of experience with animals and as homeowners understand and appreciate the importance of taking care of your home and garden. We will ensure that your home is very well looked after, but more importantly that your beloved pets are cared for and loved while you are away. I have known Peter for 4 years and he has proven to be a very reliable and honest person with a great personality and high integrity. Both he and Emily are very trustworthy and respectful people and I would have no hesitation in recommending them with housesitting and looking after pets. They have a cat and a dog and both are very well cared for. I have known both Peter and Emily for the last 3 years both personally and professionally. During this time I have got to know them both well and have visited their home on several occasions. Being avid animal lovers, their animals are their family and they have helped me on several occasions look after my own large dogs with great care when I have had to go away. They are both individually reliable stable and financially responsible however together they are an exceptional morally aligned couple who present their home and themselves in an impeccable manner at all times. I highly recommend Peter and Emily as they would be a trustworthy and reliable tenant that would look after any property as if it were their own. Peter and Emily looked after our home and dog while we were away. I was so happy with the care they provided. They kept me informed, the house was clean and our dog was well looked after. Really lovely couple, I wouldn't trust anyone else with this job :) highly recommended. I have known Peter McKenzie and Emily Smith for a period of over 10 years. In this time, they have house sat for both myself and that of my family members in numerous parts of Australia. They have proven to be extremely trustworthy, neat, tidy and reliable. They are both very mature people who could be trusted wholeheartedly to look after any premises in which they were staying. I am more than happy to recommend them for house sitting and can be contacted for further information on the above details.